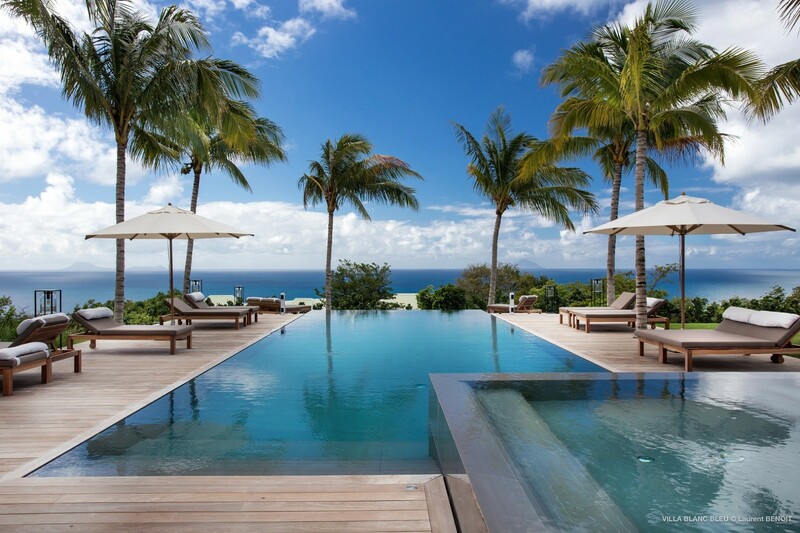 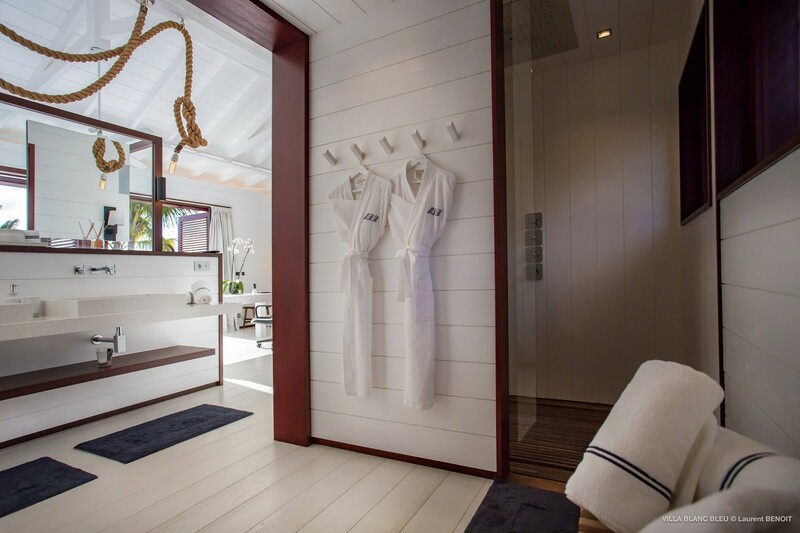 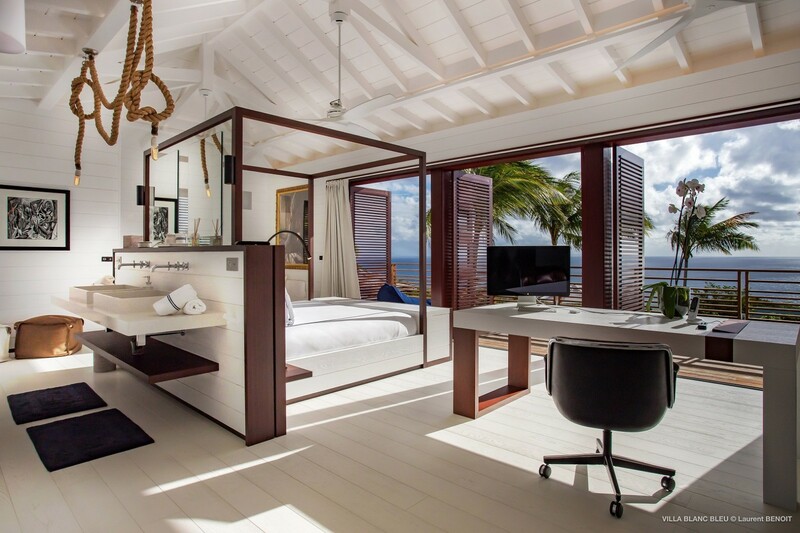 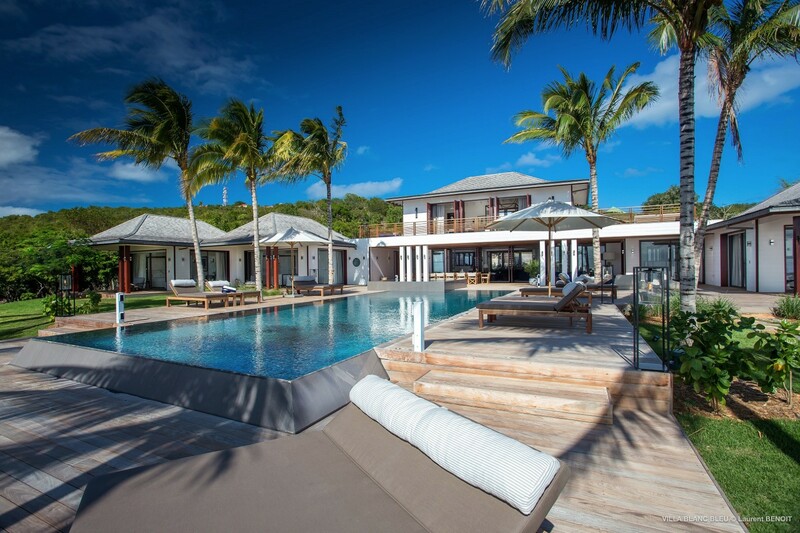 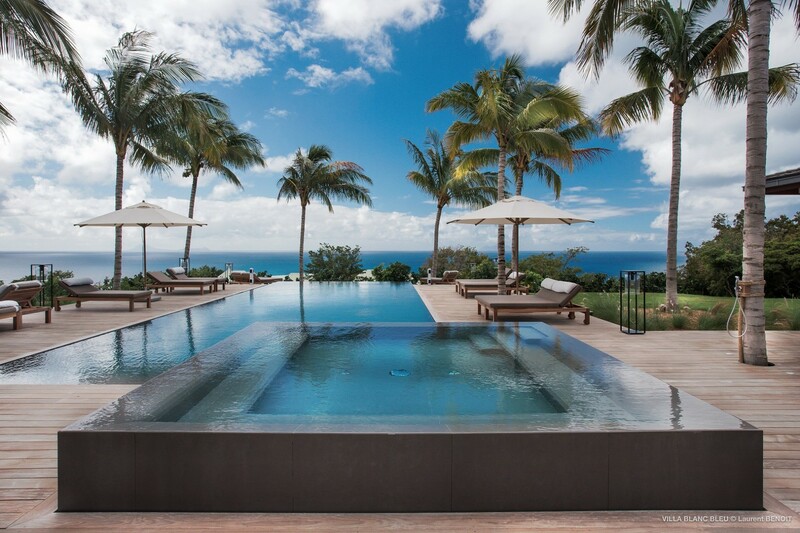 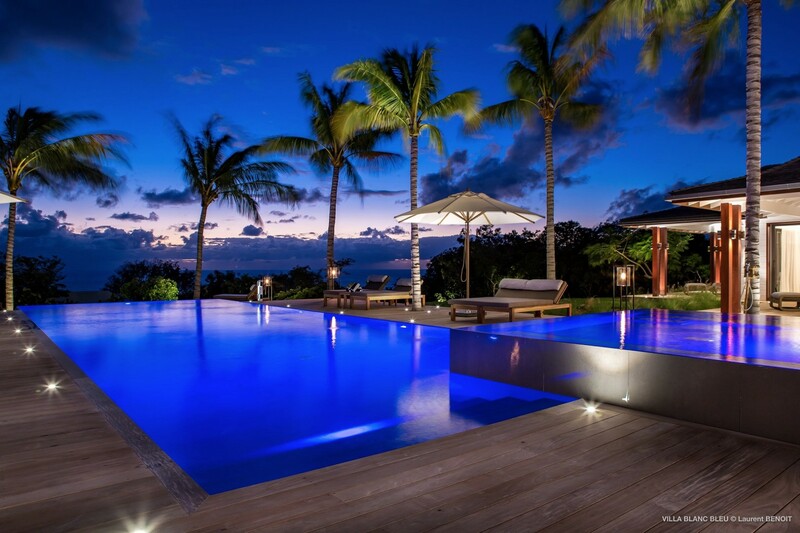 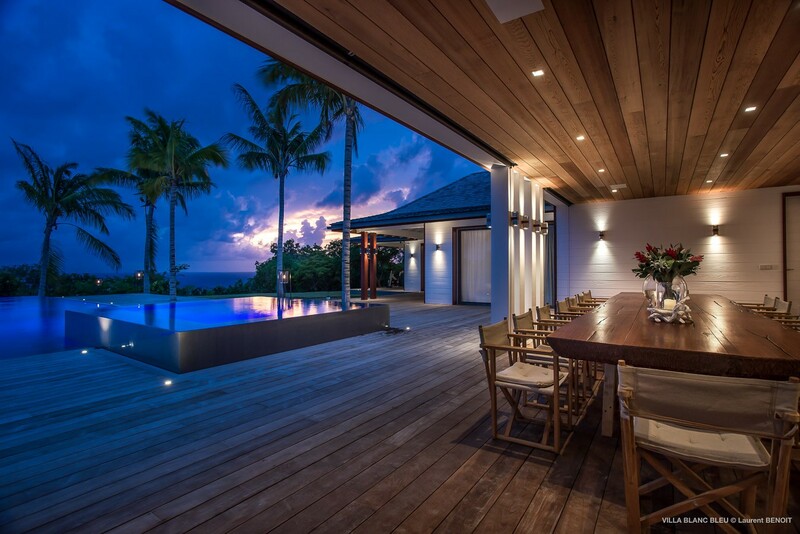 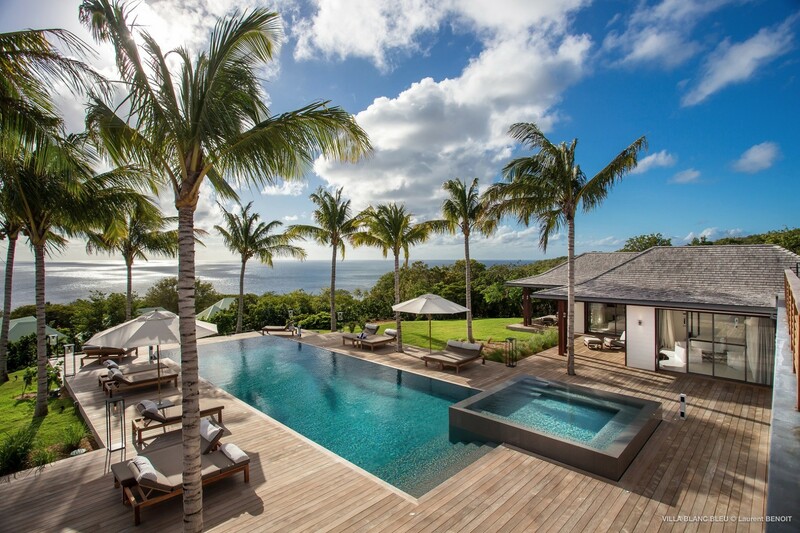 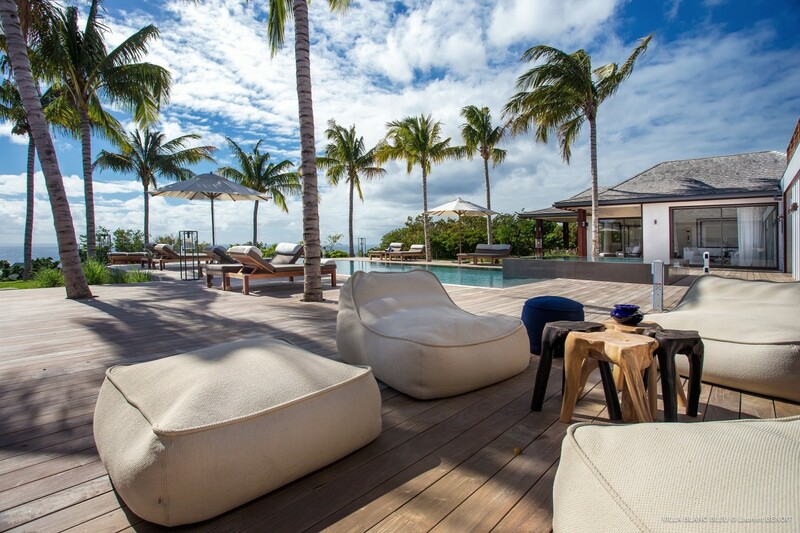 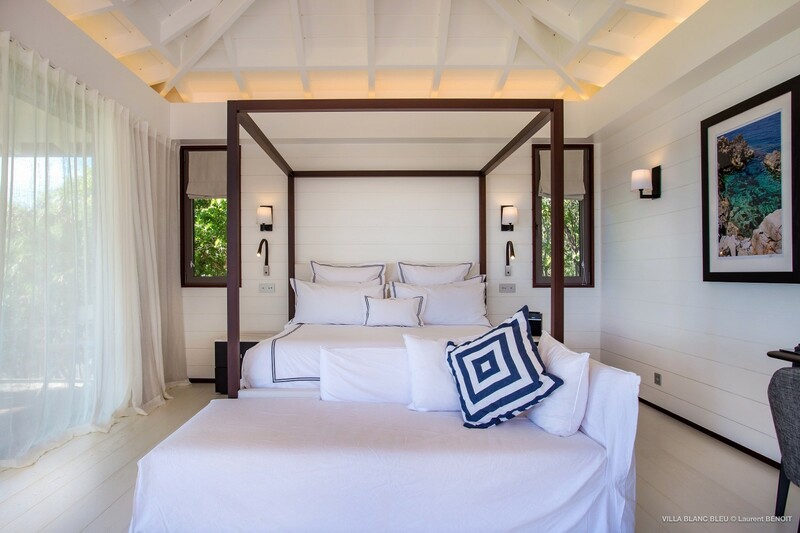 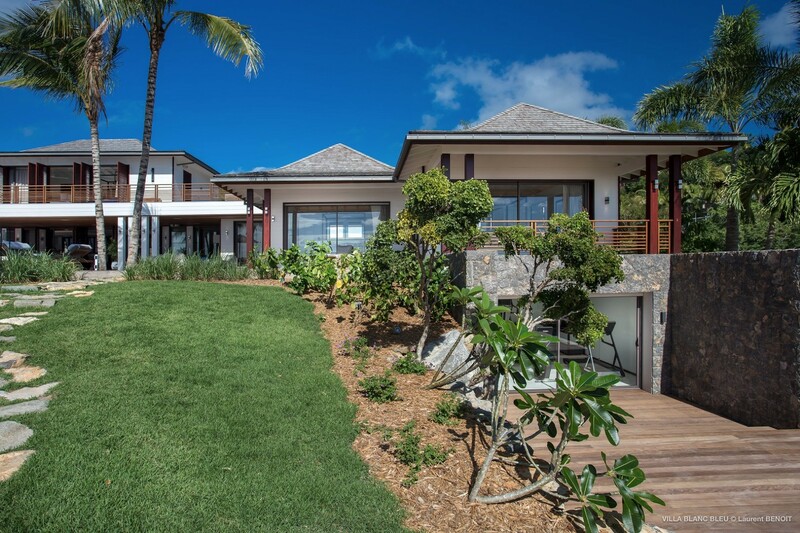 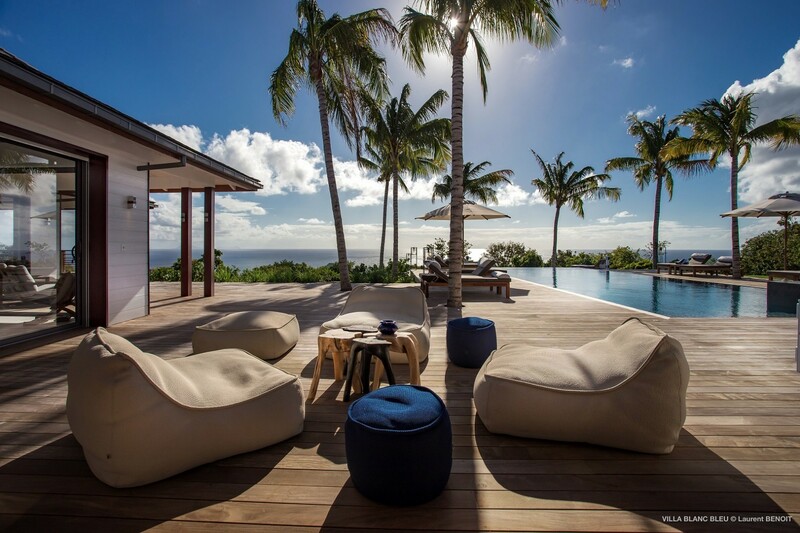 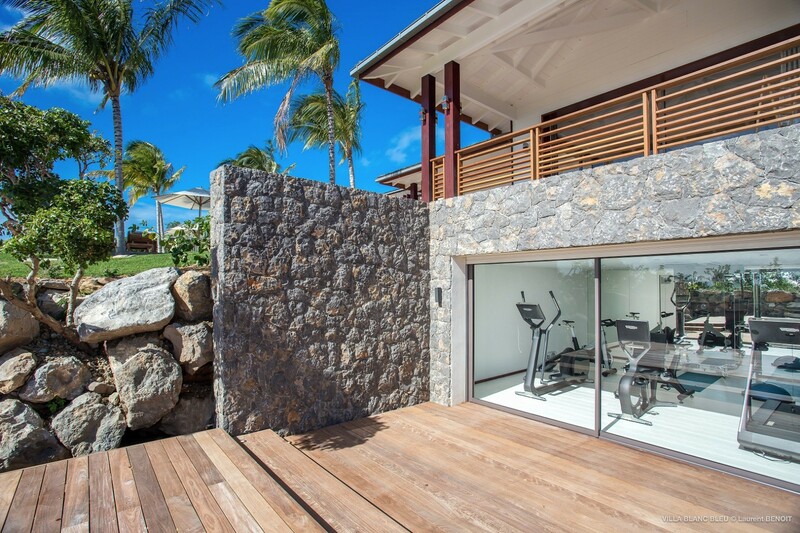 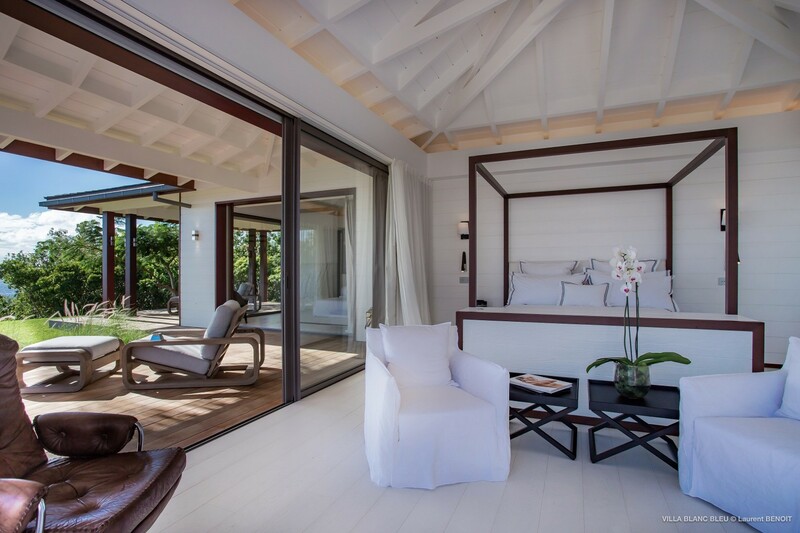 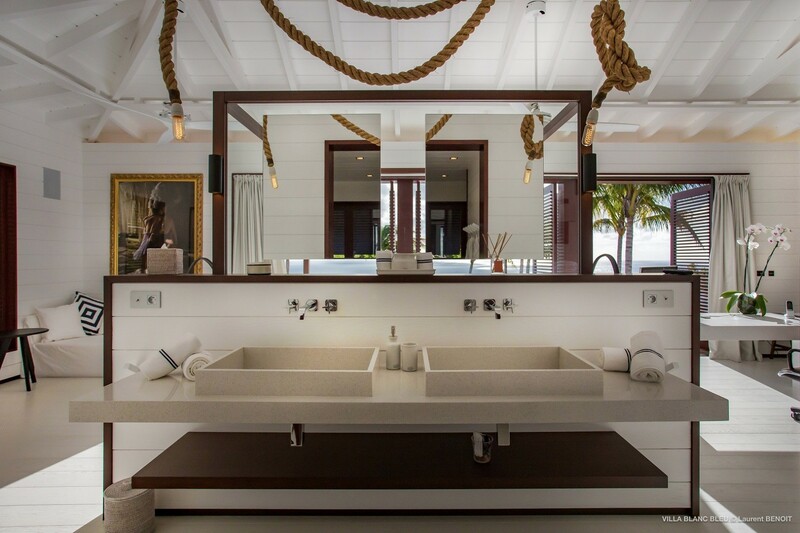 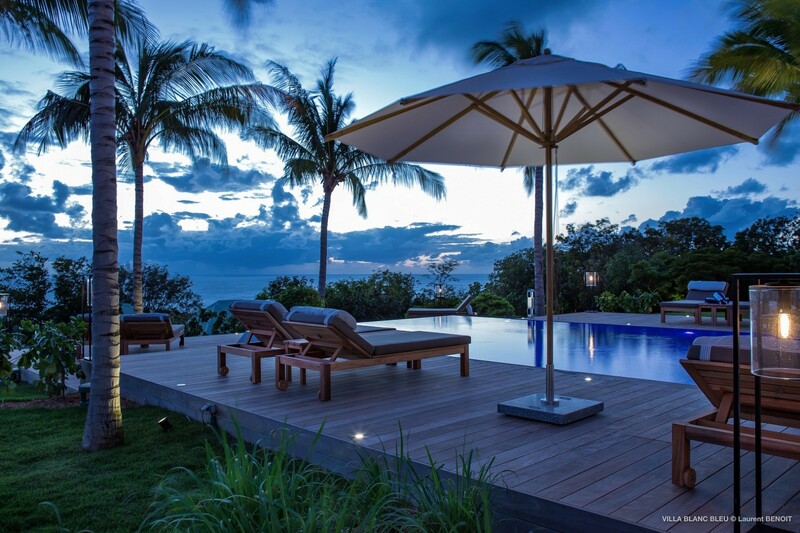 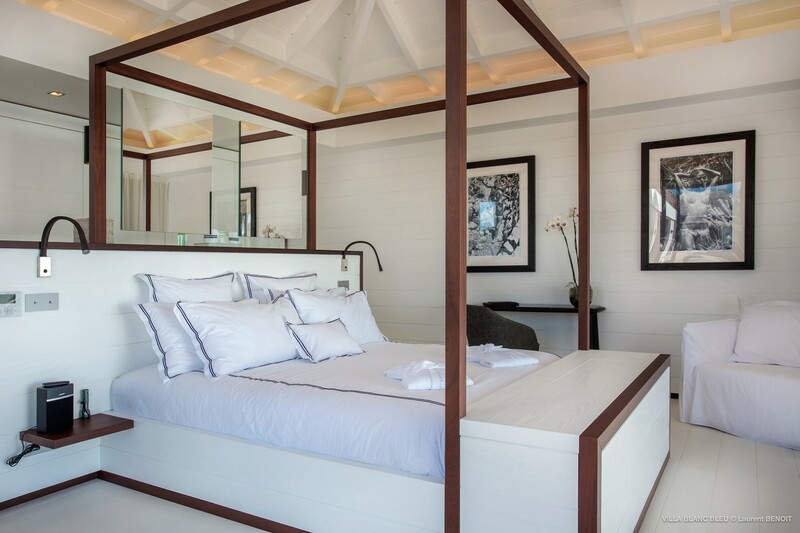 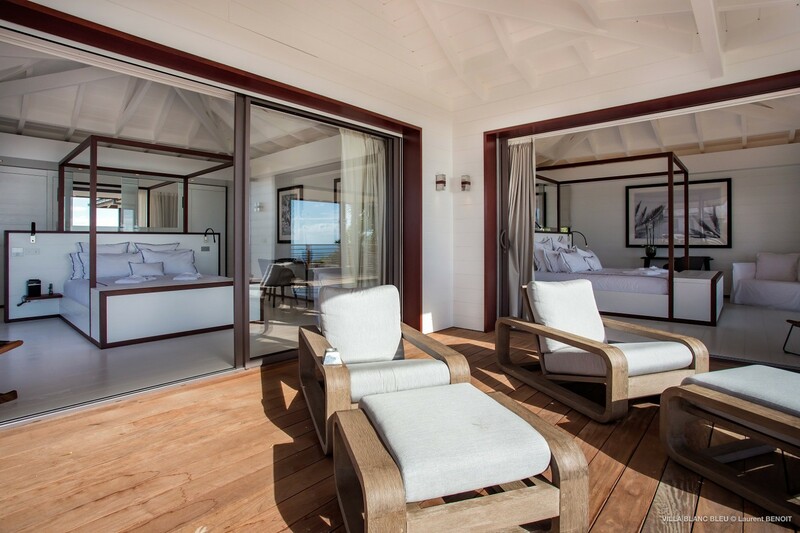 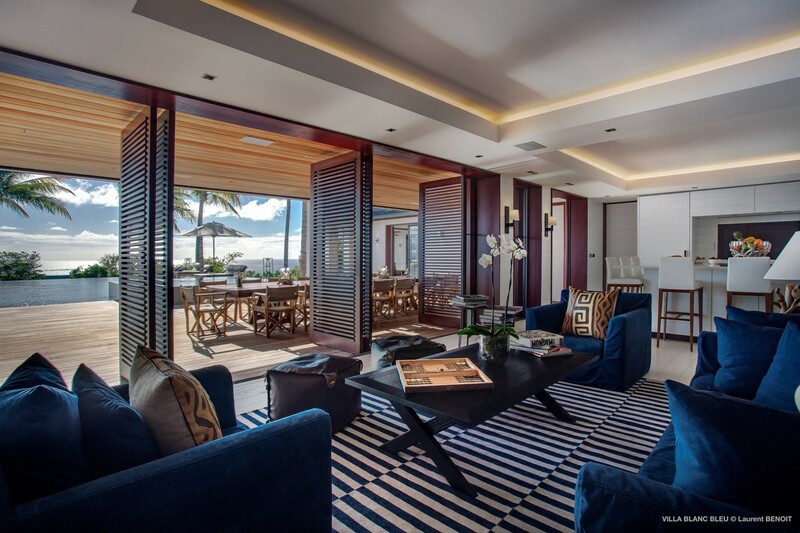 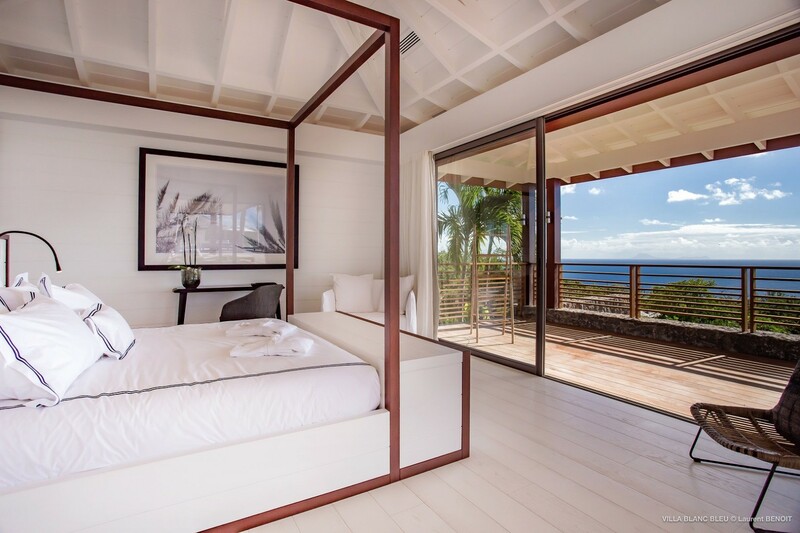 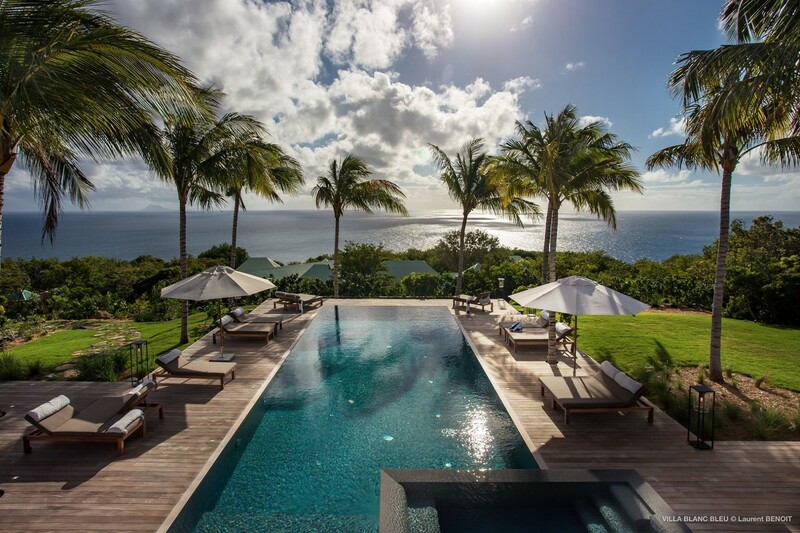 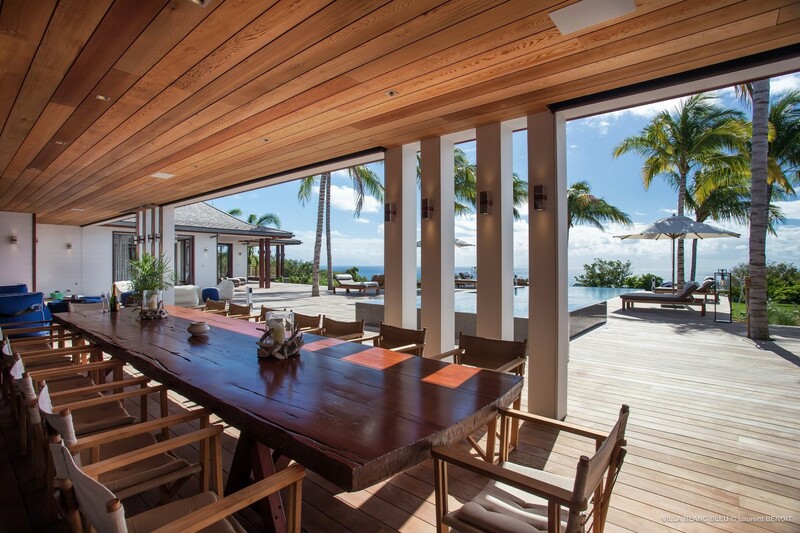 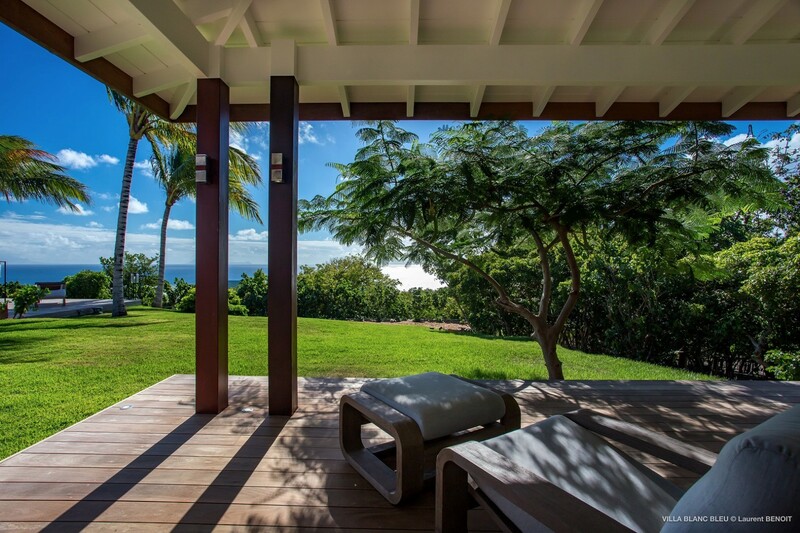 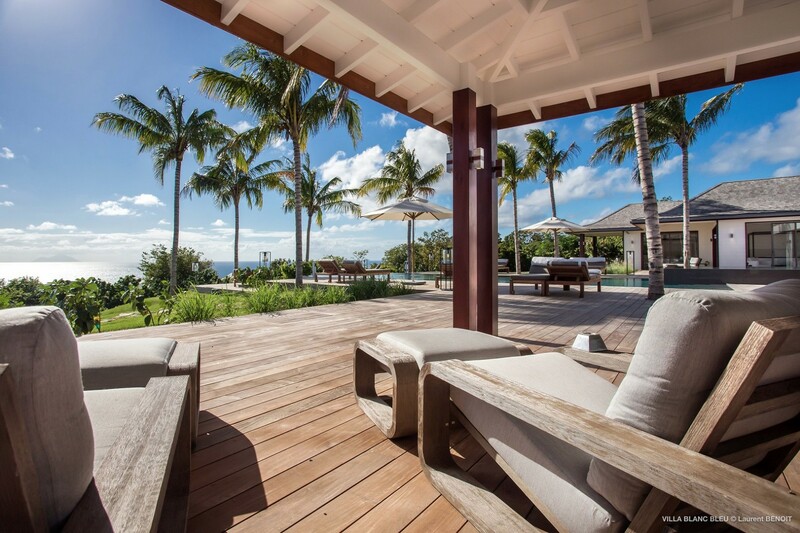 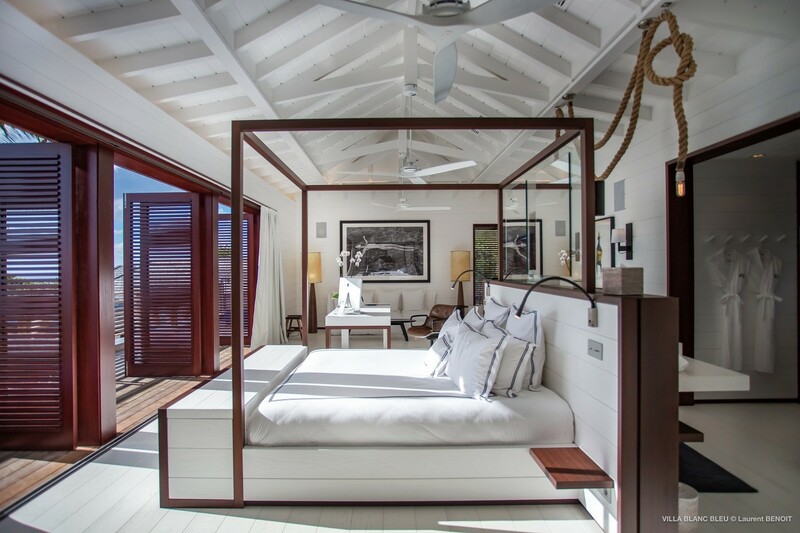 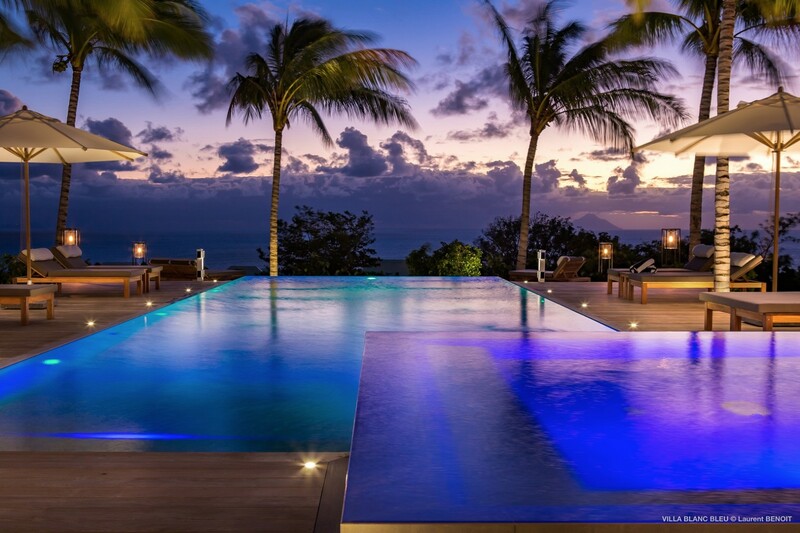 Set in Gouverneur St. Barts, and just a short drive to the charming harbor town of Gustavia, the Villa Maison Blanc Bleu offers groups of discerning travelers a truly rare opportunity. 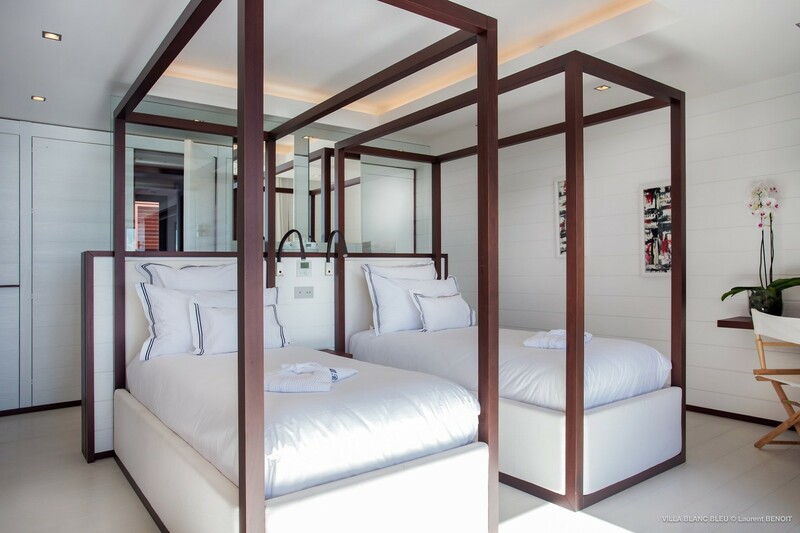 With up to six large bedroom suites available, including space for children and staff, it provides a spacious retreat packed with luxuries and world-class amenities. 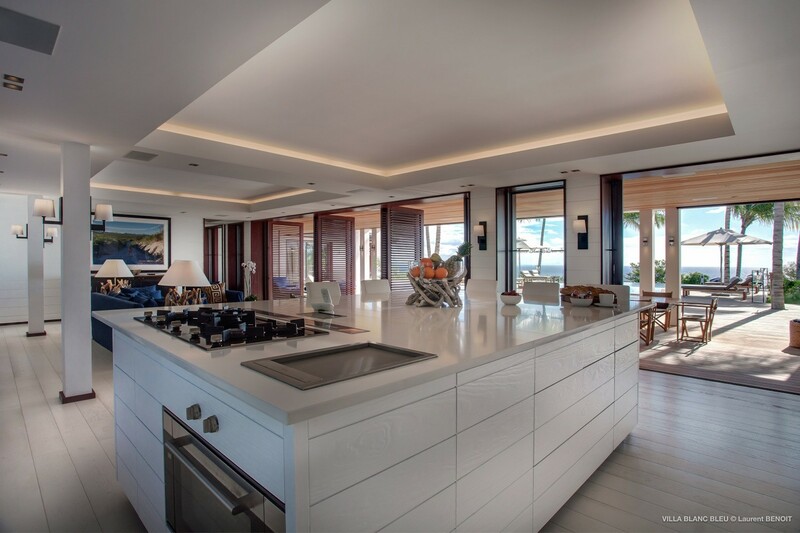 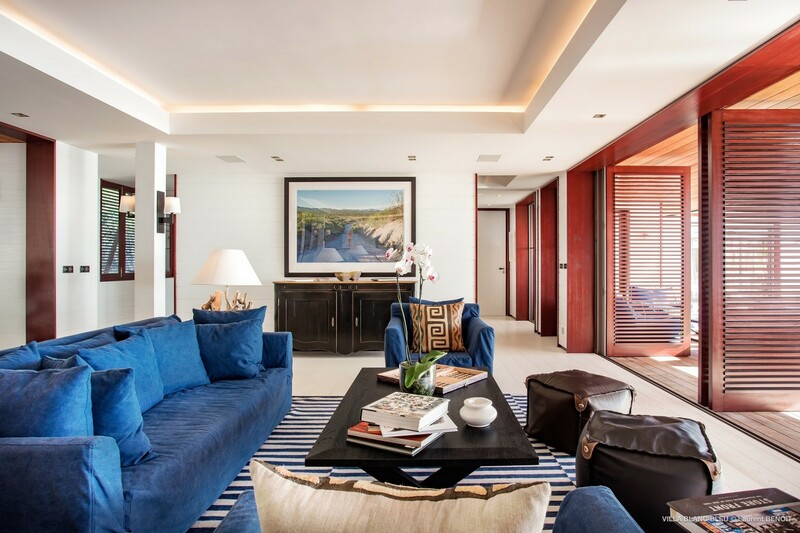 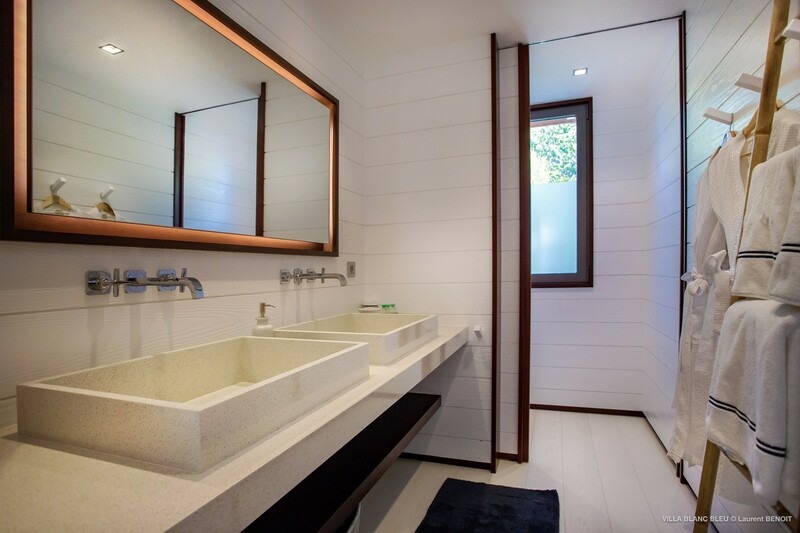 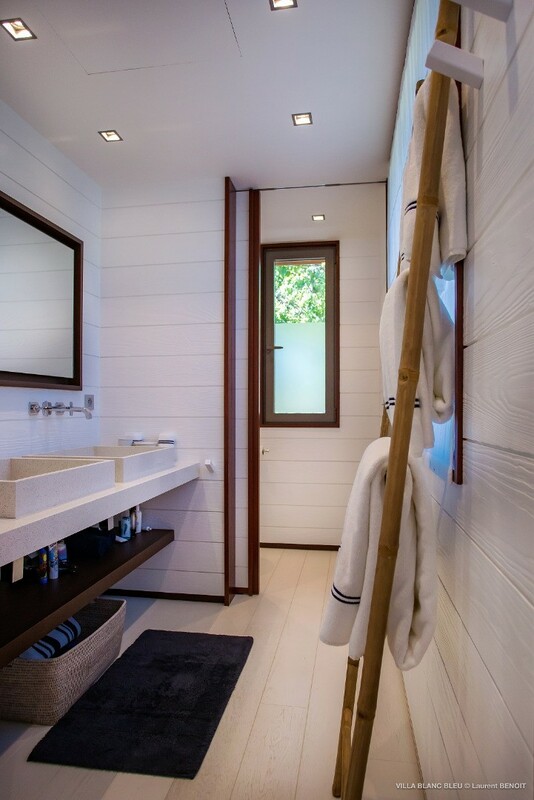 One look at the contemporary style and clean lines of the villa will increase your interest, but stepping inside you will instantly recognize the utter charm and comfort the entire property offers. 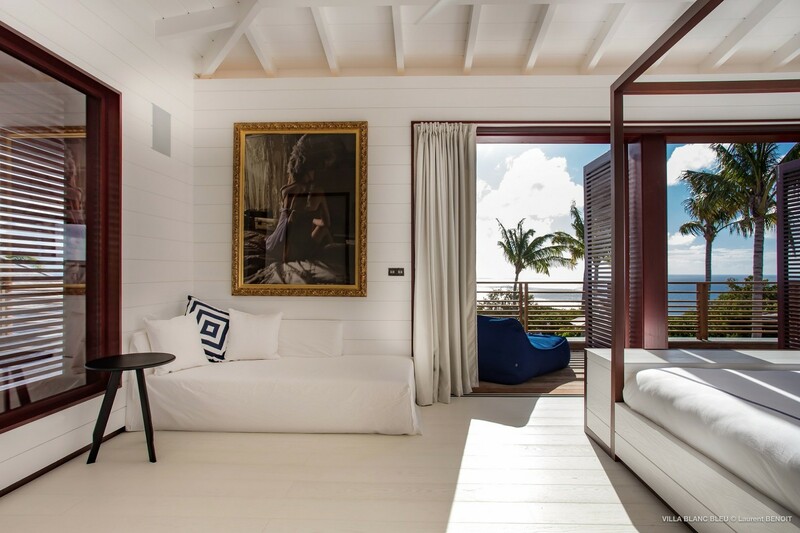 It takes its name from the dominating blue and white palette used for the interiors, as well as the blue and white appearance created by the juxtaposition of the building and the Caribbean blue skies and waters. 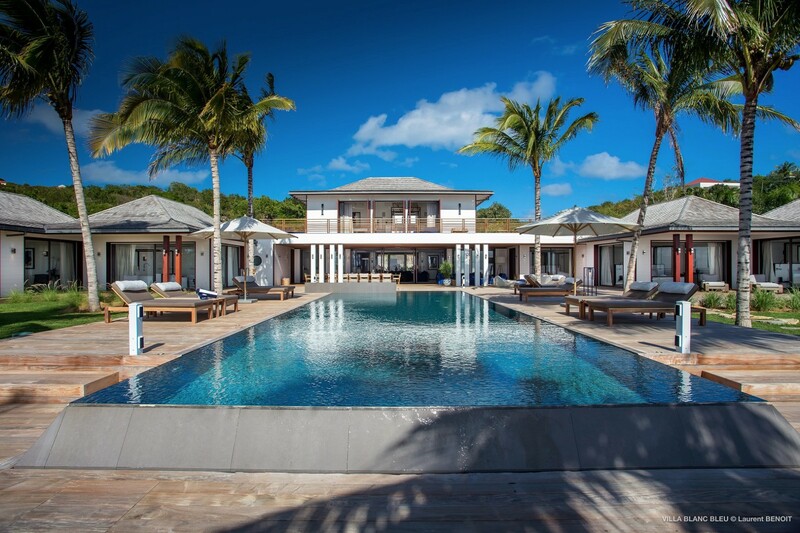 The pool terrace is a lovely illustration of this theme too, as it runs from the garden towards the house, meeting a lovely white portico that opens into the interior spaces. 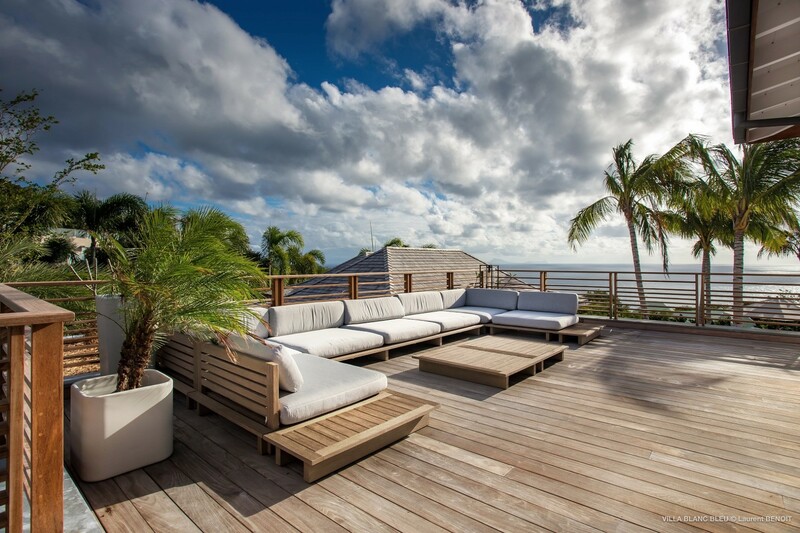 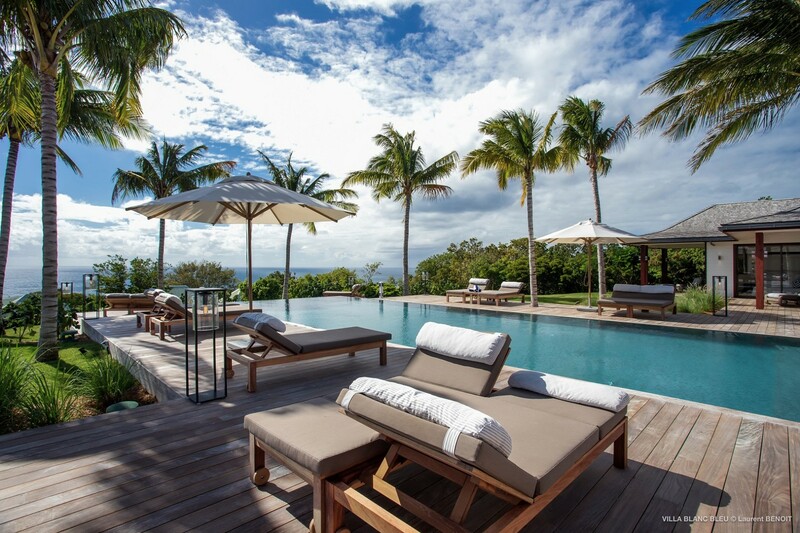 The outdoor living spaces are expansive and include the pool terrace and Jacuzzi tub, the al fresco dining room, the outdoor lounges and sun beds, the tennis courts and the upper terrace off the master bedroom. 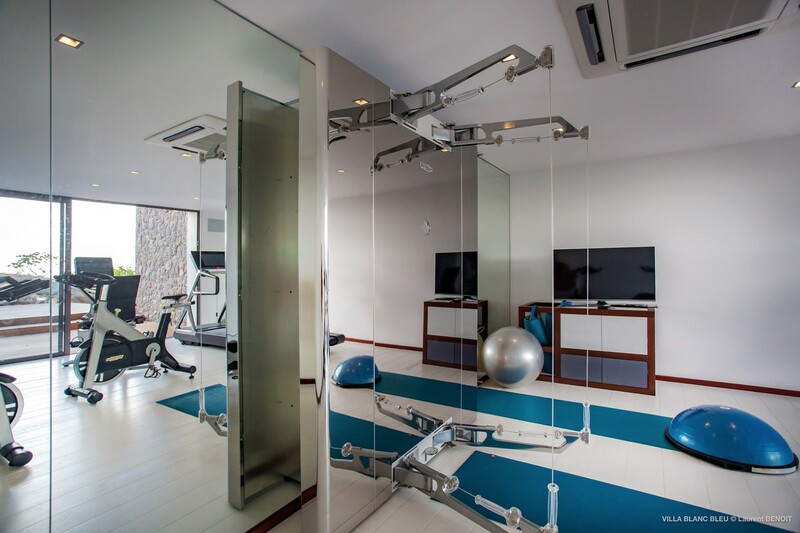 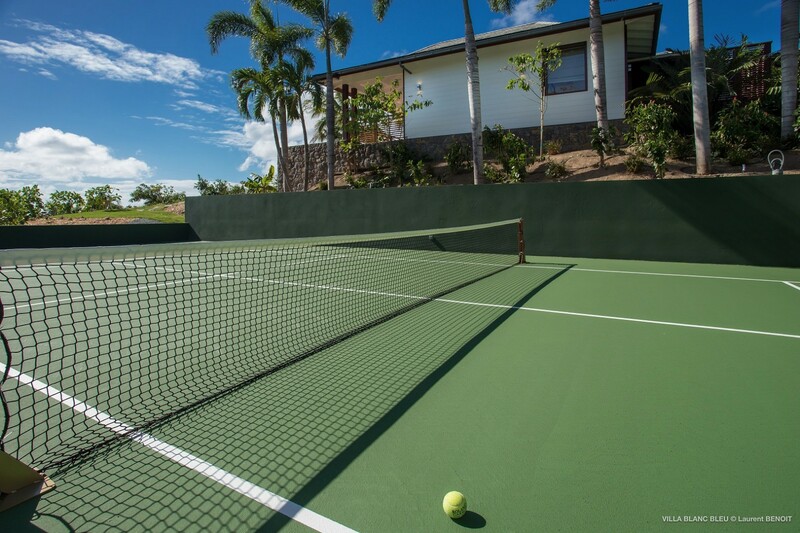 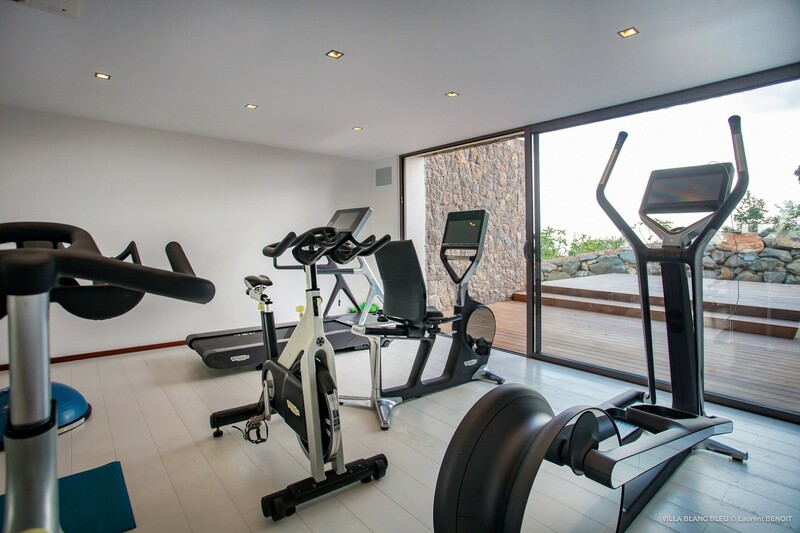 The property also boasts a fitness room, TV room, and mature gardens. 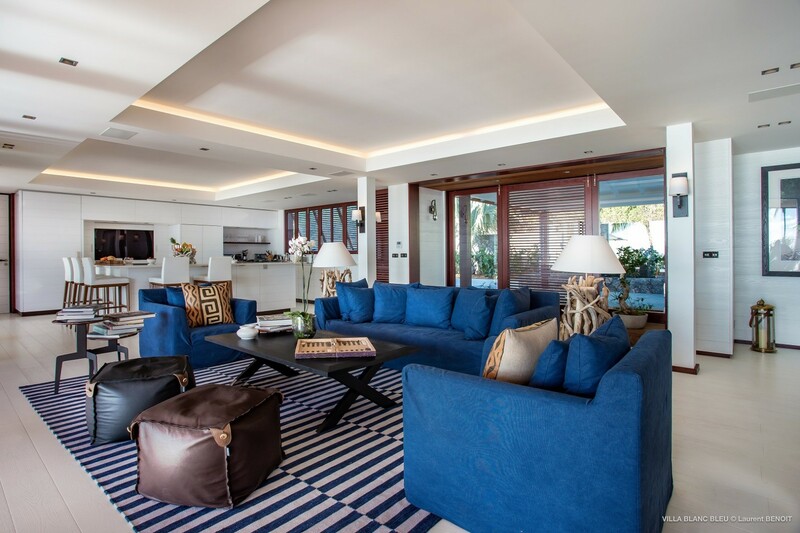 Inside of the villa, guests will appreciate the great room with its oversized furnishings, high end electronics and well designed spaces. 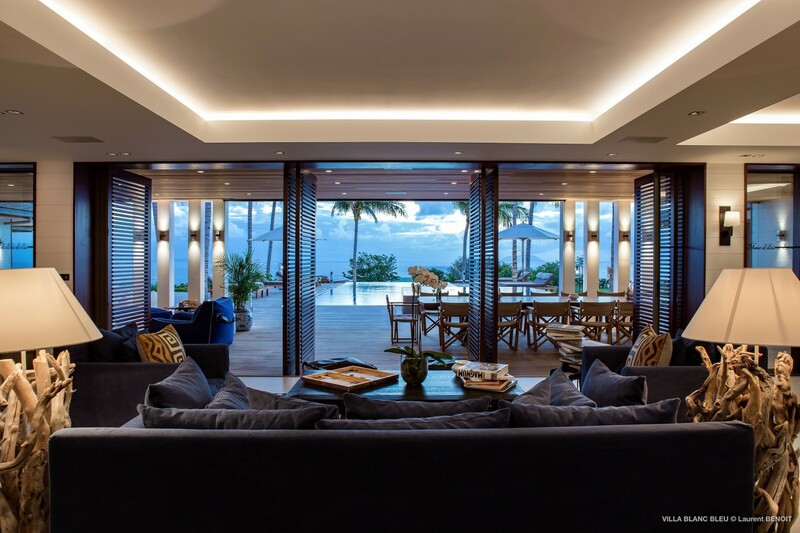 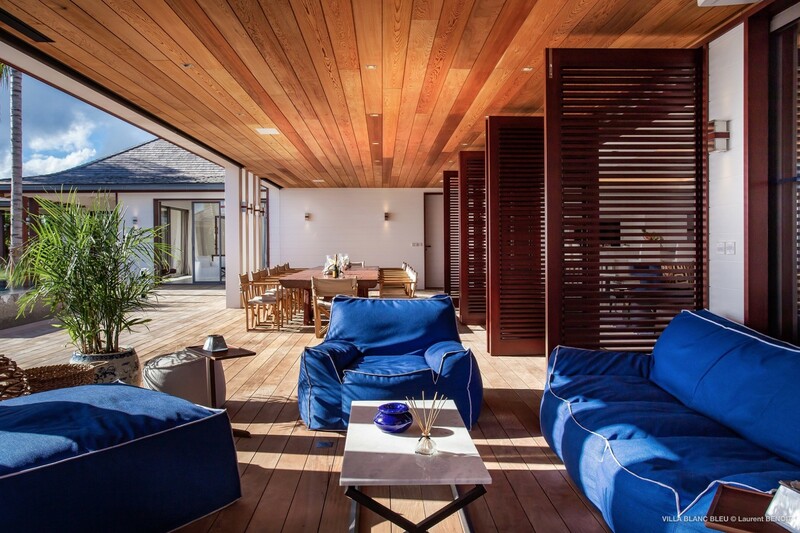 The large windows capture the sea breezes and sunlight while the cool blue of the furnishings keeps it all in balance. 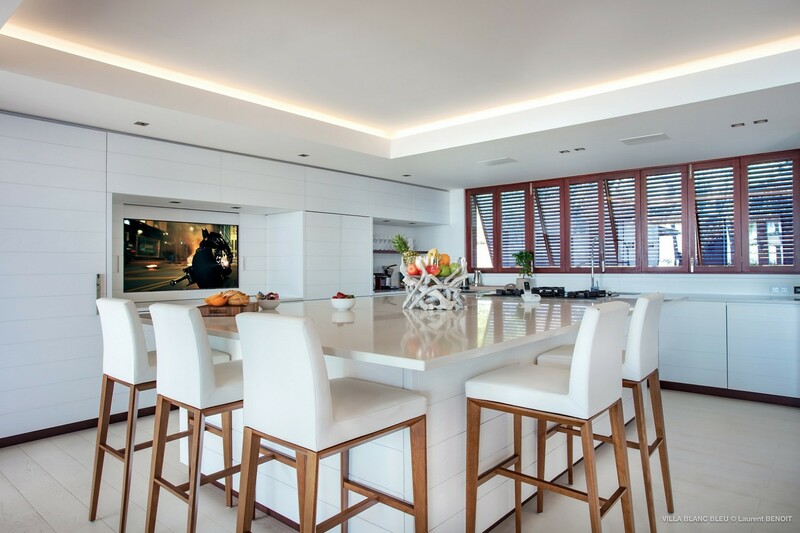 The living room is set with a large banquet sofa and leads into the massive gourmet kitchen with its convenient breakfast bar. 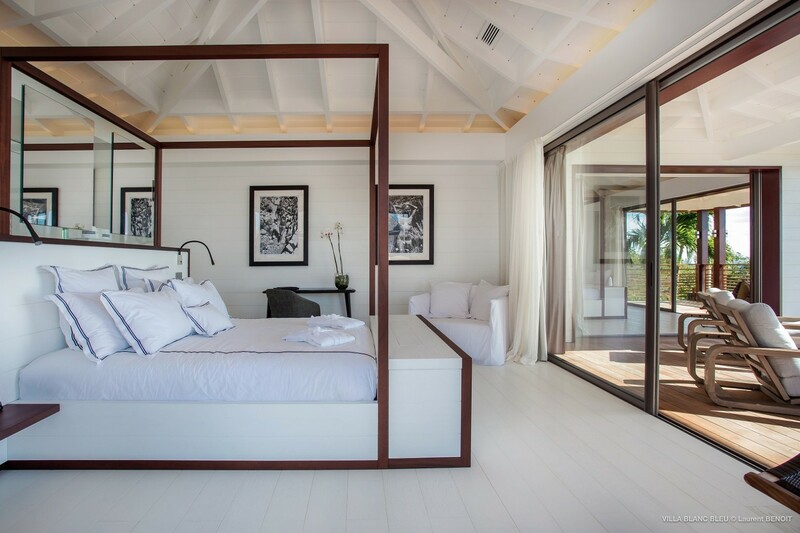 Five of the bedrooms open directly to the pool terrace, and the master is on an upper floor with its own terrace overlooking it all. 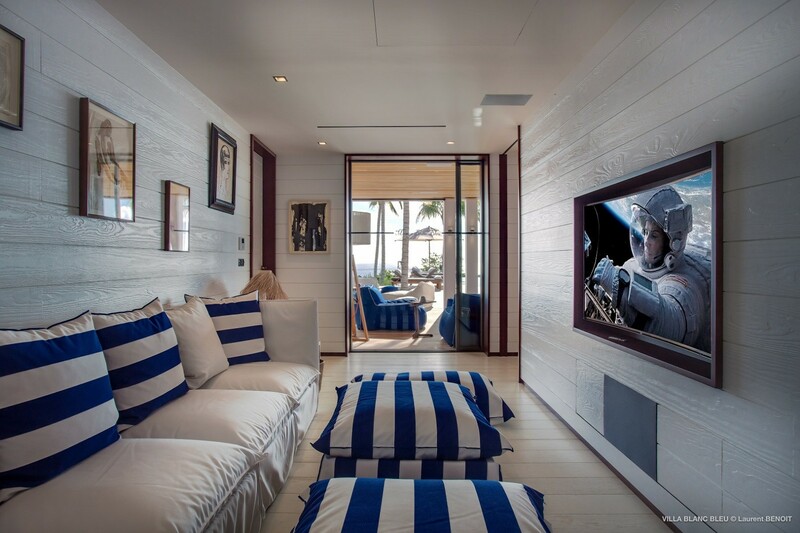 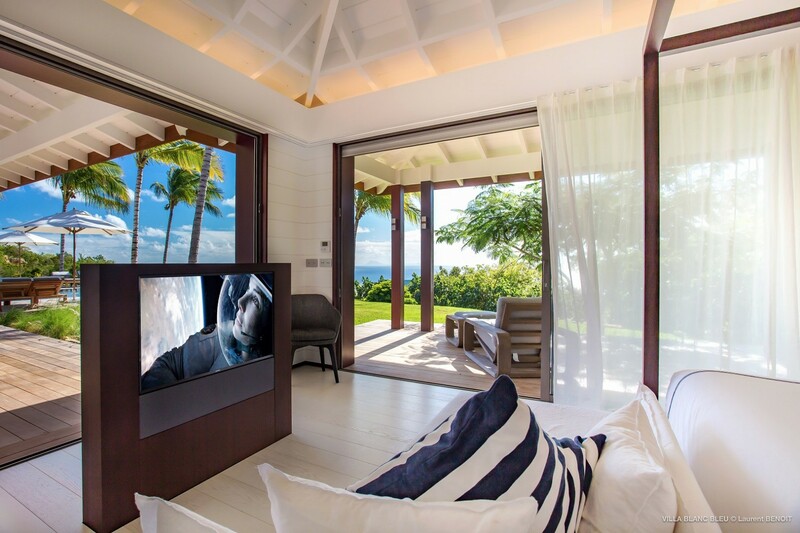 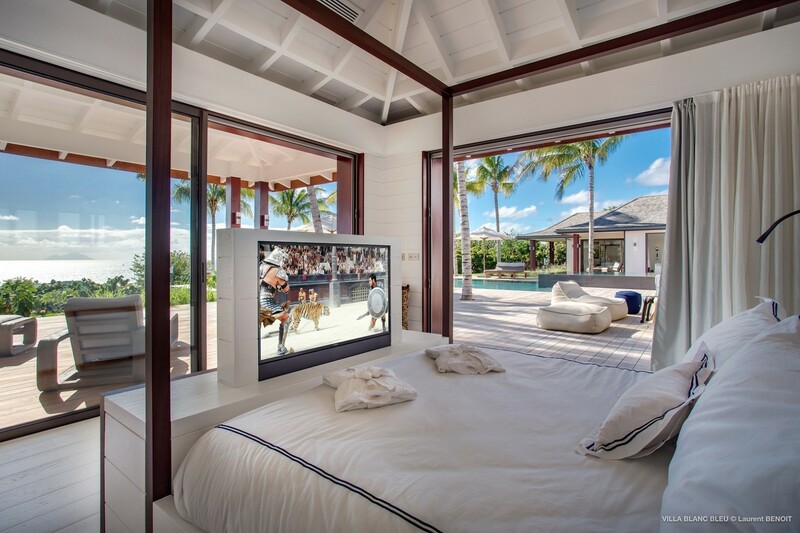 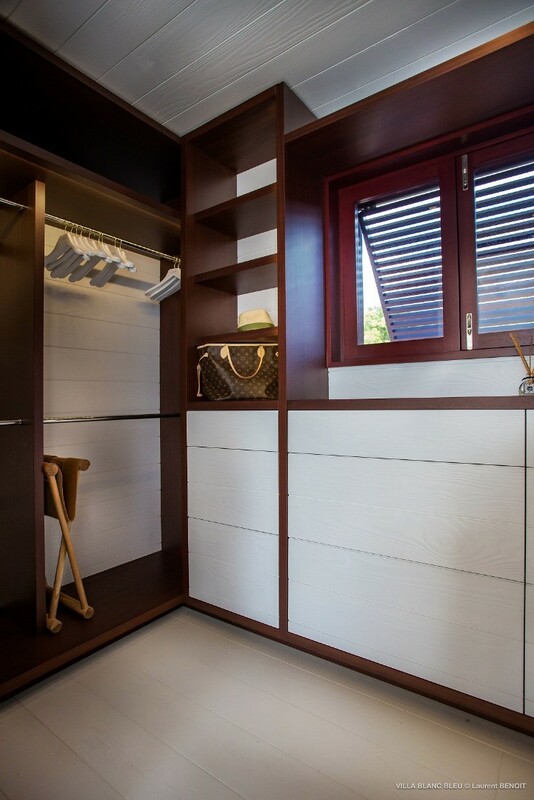 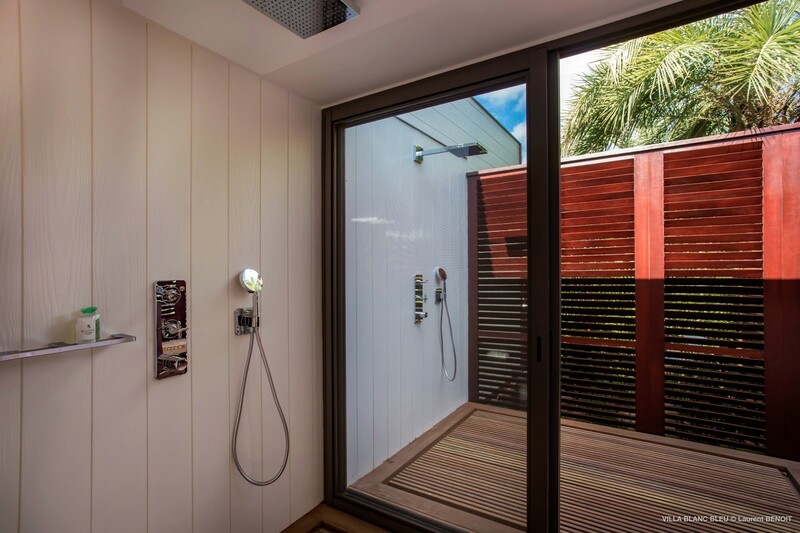 All of the bedrooms are queen suites with private baths and a full array of electronics and entertainment systems. 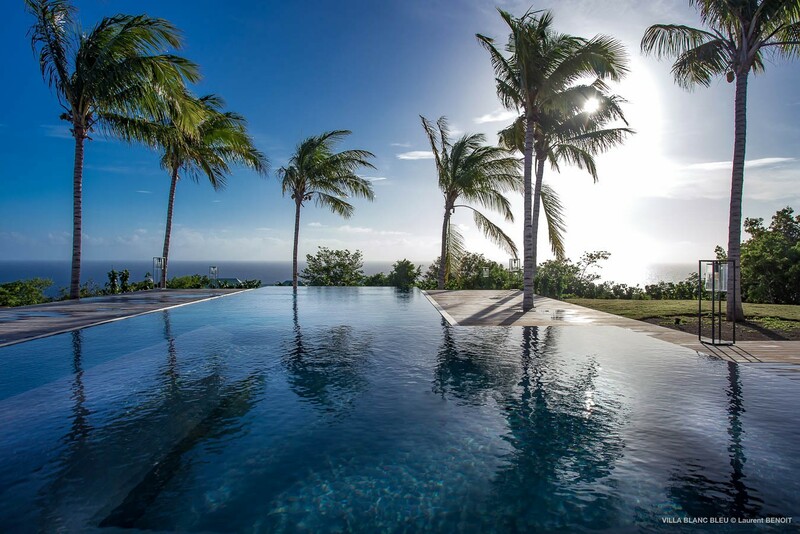 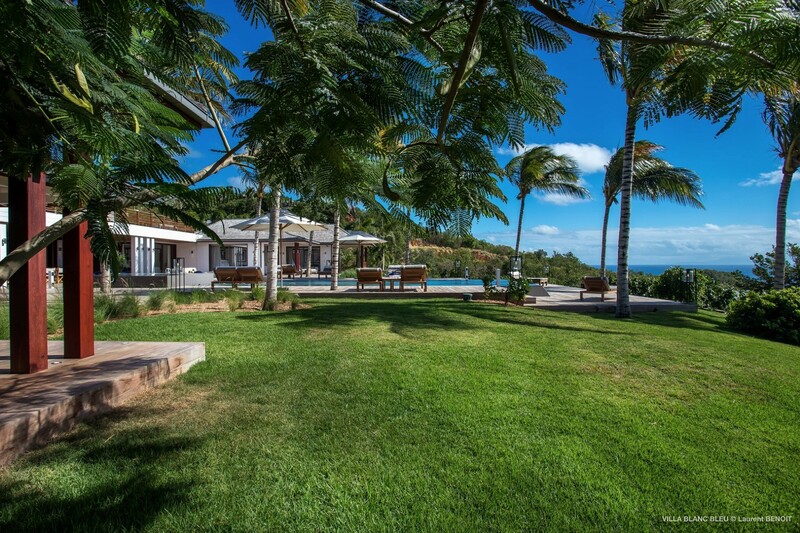 The ideal getaway for a family or group of friends, the Villa Maison Blanc Bleu will quickly number as one of your favorite destinations.